Rachel is an experienced acting coach and teacher. I offer private coaching for students at any stage of their learning process, and for professional actors looking to find clarity or direction for an audition, or an off-camera reader when putting themselves on tape. I have a wealth of experience tutoring in the UK, both in large groups and in private one-on-one sessions, and for all levels and all ages. I am a vice patron of The Actor's Centre in London and an associate member of the National Youth Theater of Great Britain. I intuitively know how to extract the best from an actor in a short period of time if needs be. General Audition Preparation: monologues and sides. I help with your own exploration and I work to enable you to find your own impulses and fly with them. I want you to feel inventive, comfortable and above all confident; the more you explore, the freer you are, the safer you feel, the less you try to please, the more you will fascinate on stage and in the audition room. A love of words is where it all begins for me ; I think I have a good sense of the language and the rhythm of the text, as well as a feel for the period and style, and I can help you discover it for yourself, shape the text, tell the story, enjoy the wordplay and embrace the muscularity of each style. Shakespeare, Ibsen, Wilde, Coward, Shaw, Classical and contemporary texts that are language-heavy. I have worked with and learned from some of the best classical theater practitioners of British Theatre, such as Sir Peter Hall, Terry Hands, Cic Berry as well as non-British artists such as Calixto Bieito and also Peter Stein who naturally give an entirely different perspective to these works when English is not their native tongue. Fall in love with Shakespeare - he makes it easy for us! 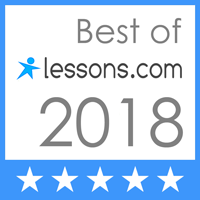 I can help you focus on using the verse/prose; finding scansion, playing with rhythm, driving through the line, understanding and using the power of the structure and the rhetorical devices – metaphor, antithesis, alliteration, etc and then forgetting all about the rules and making it your own and ENJOYING it above all! Dialect Assistance: Received Pronunciation and other British dialects. I have worked with dialect and voice experts Penny Dyer, Andrew Wade and Cicely Berry. I can help you find authenticity and ease, and ensure that you’re not unnecessarily tense about your dialect work. I specialize in one to one sessions on audition monologues and scene study, and love to work in great detail, always starting with the text and the word but making sure the whole body is involved. I am particularly drawn to Shakespeare soliloquies and monologues and the classics and my experience has led me to believe that if you can master these you really are able to tackle anything. So many people are scared of Shakespeare but I have discovered that he is the greatest teacher of all and is there to help the actor rather than hinder… you will never be scared of him again... you will love him! I do not adhere to one particular method but am interested in exploring what is right for that speech and that particular person at that exact time on that specific day. Acting is not a science and I do not believe in sticking to a set of rules or a routine; our moods change by the minute each and every day, and it is impossible to budget for how we are feeling at any given moment so I feel that in the sessions it is vital to take these changes into account. I get to the heart of the speeches and of the students' needs as they are working on them and I LOVE to watch my students grow and improve in confidence and skill and technique. And we have fun while we are doing it. I have just begun tutoring here in New York and my first student with whom I had 10 one hour sessions, has just received an offer of a place at Yale School Of Drama. My feeling is that if you have an instinct for it then I can help you channel it in to something wonderful, even if at first it is all just jangling around in there with no place to go. I cannot teach a person to "act" ... I firmly believe that, but I can teach you to USE your talent in the best way possible. I look forward to meeting you and taking you on to the next level!